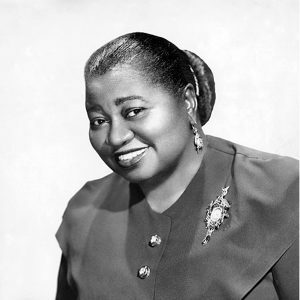 Long before Twitter, Instagram, Facebook and the Internet, Hattie McDaniel knew what it meant to “clap back” against her haters. 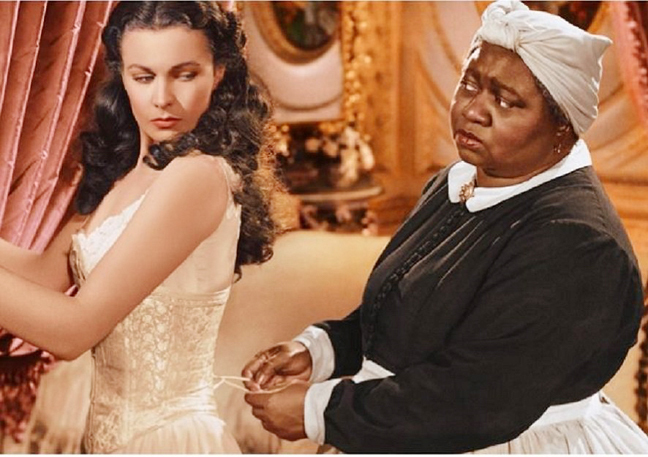 Upon hearing backlash for film roles where she portrayed a servant – during a time when servants were the only available roles for African Americans in Hollywood – McDaniel remarked, “I’d rather play a maid in the movies than be one in real life. A trailblazer who opened the doors for blacks in Hollywood, McDaniel was the first African American to win an Academy Award when she was recognized for Best Supporting Actress for her portrayal of Mammy, a black maid, in the 1939 classic, Gone with the Wind. The ceremony, the 12th Academy Awards, was held at the segregated Ambassador Hotel and producer David Selznick had to petition for McDaniel to enter the hotel’s glitzy Cocoanut Grove nightclub. When she took the stage at the 1940 Oscars, she was the only Black woman in the room. According to Entertainment Weekly, co-stars Vivien Leigh and Clark Gable sat together while the 46-year-old McDaniel, clad in a blue dress and gardenias in her hair, sat at a separate, segregated table in the back of the venue. After hearing her name announced, McDaniel eschewed the speech Selznick had prepared for her, and delivered one she’d written with the help of Ruby Berkley Goodwin, a Black writer and close friend, Entertainment Weekly reported. Little did she know, McDaniel’s win paved the way for 38 Black film industry professionals, including actors, musicians and directors to win an Academy Award or to receive an honorary distinction. Winners have included Sidney Poitier, Denzel Washington, Louis Gossett Jr., Forest Whitaker, Octavia Spencer and Lupita Nyong’o. Born on June 10, 1893 (with some sources listing her year of birth as 1895), in Wichita, Kansas, McDaniel was her parents’ 13th child, according to Biography.com. Her father, Henry, was a Civil War veteran who suffered greatly from war injuries and had a difficult time with manual labor. Henry was later described by one of his sons as a minister, though this was a fictionalized account. McDaniel’s mother, Susan Holbert, was a domestic worker. In 1901, McDaniel and her family moved to Denver, Colorado, where she attended the 24th Street Elementary School, and counted as one of only two black students in her class. While at East River High School, McDaniel started professionally singing, dancing and performing skits in shows as part of The Mighty Minstrels. Her natural flair for singing – in church, at school and in her home – was apparent early on and gained her popularity among her classmates, according to Biography.com. In 1909, she decided to drop out of school in order to more fully focus on her fledgling career, performing with her older brother’s troupe. In 1911, she married pianist Howard Hickman and went on to organize an all-women’s minstrel show. In the 1920s, McDaniel worked with Professor George Morrison’s orchestra and toured with his and other vaudeville troops for several years. By mid-decade, she was invited to perform on Denver’s KOA radio station, according to biography.com. Following her radio performance, McDaniel continued to work the vaudeville circuit and established herself as a blues artist, writing her own work. In 1931, McDaniel scored her first small film role as an extra in a Hollywood musical. Then in 1932, she was featured as a housekeeper in The Golden West. The pinnacle of McDaniel’s career, Gone with the Wind, premiered in 1939 amid controversy. Though the role would eventually lead to an Oscar win for McDaniel, she was banned from the premiere. In fact, none of Gone with the Wind’sBlack actors were allowed to attend the film’s Atlanta premiere. McDaniel continued to land parts here and there, but as roles for black actors were hard to come by, she was again forced to take odd jobs to make ends meet. In 1951, McDaniel started filming for the television version of The Beulah Show. Unexpectedly, she suffered a heart attack around the same time, and was forced to abandon her career upon being diagnosed with breast cancer. Responding to criticism over her maid roles, McDaniel said it was her prerogative to accept whatever roles she chose. She also suggested that characters like Mammy proved themselves as more than just measuring up to their employers. McDaniel lost her battle with cancer in Los Angeles, California, on October 26, 1952. After her death, the groundbreaking actress was posthumously awarded two stars on the Hollywood Walk of Fame. She was inducted into the Black Filmmakers Hall of Fame in 1975 and honored with a commemorative U.S. postage stamp in 2006. A well-received biography on her life was published in 2005—Hattie McDaniel: Black Ambition, White Hollywood, by Jill Watts. Last year, it was announced that producer Alysia Allen had obtained the film rights to the book and was looking to develop a biopic.